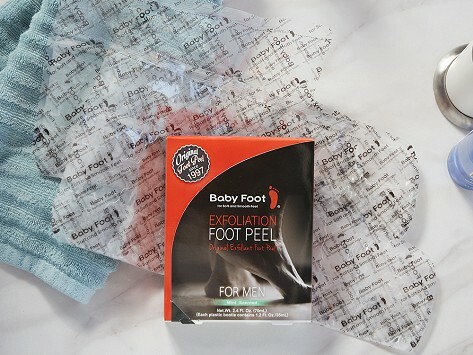 This foot peel for men targets dry, rough skin. The booties are filled with a mint-scented gel exfoliant that leans on 16 natural fruit acids and extracts to remove dead skin, layer by layer. The treatment takes an hour and skin will start to peel within a few days. Let it work its magic and within two weeks the newly soft, smooth skin will be fully revealed. Dimensions: 13.5" x 0.06" x 7"